Art Tower Gallery invites you to reveal women's secrets through art on April 17. The beauty of a woman, her wisdom, uniqueness, irresistibility, moral and strong-willed qualities have always been glorified in poetry and prose, reflected in the canvases of great artists. For many artists, the women's theme has been a source of inspiration. The preparation work is in full swing. The exhibition consists of paintings from personal collections. For example, the works of famous Azerbaijani artist and animator director Nazim Mammadov (1934–2004), whose name is inextricably linked with the most beloved domestic cartoons, will be presented to the general public for the first time. Eldar Babazade will also exhibit his paintings, whose work is displayed on the exhibition billboard. 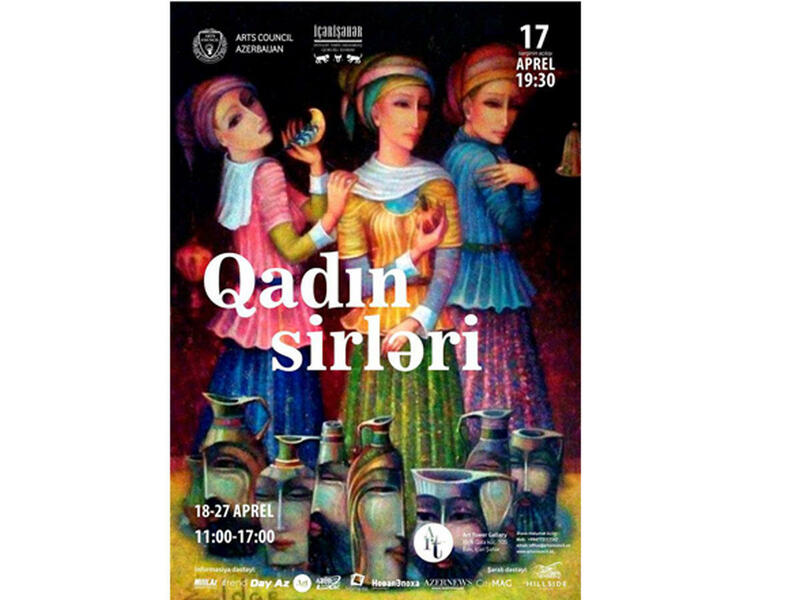 Works of Rafail Aliyev, Namig Ismayilzade and other artists will be showcased as part of the project. The exhibition will last until April 27. Admission is free.